The AR platform has served as our country’s battle rifle since 1962, first as the M16, which was used during the Vietnam War. 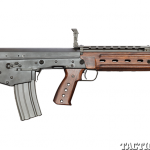 Over time, the platform evolved, and newer variants like the M4 Carbine and M16A4 rifle have been used extensively in both Iraq and Afghanistan. 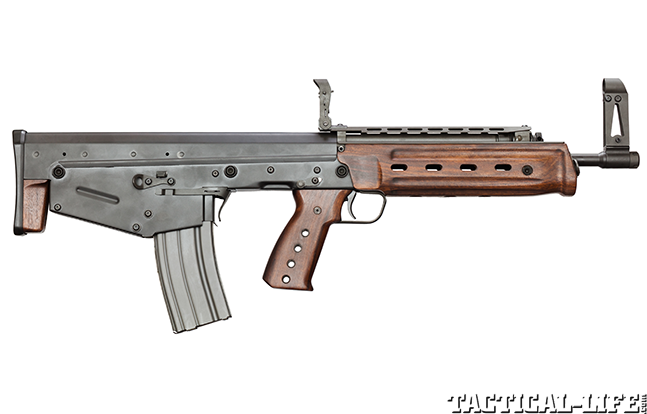 It has proven to be an excellent rifle, but, like the M1 Garand (also an excellent battle rifle), the AR will be superseded with the next generation of battle rifle. Numerous U.S. military trials, starting in the 1980s with the Advanced Combat Rifle program, have been conducted to find a replacement. 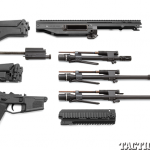 Next-gen combat-style rifles are defined by their modularity. Their components are designed to be easily installed or removed. Also, they often make use of ultra-modern materials such as polymer and aluminum in their construction that offer strength and light weight. Also, barrel systems are often fully free floated and designed for quick release so they can be swapped out in minutes in the field. 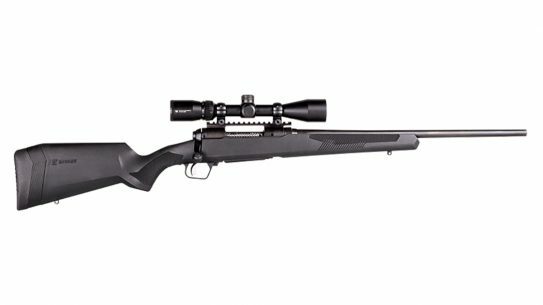 Ease of use and individualized customization are additional next-gen rifle features. Stocks can often telescope for a custom length of pull for operators of all statures, and the cheekpiece may adjust for obtaining a perfect cheekweld. The stocks also often fold, so deploying from a vehicle or aircraft is less complicated. 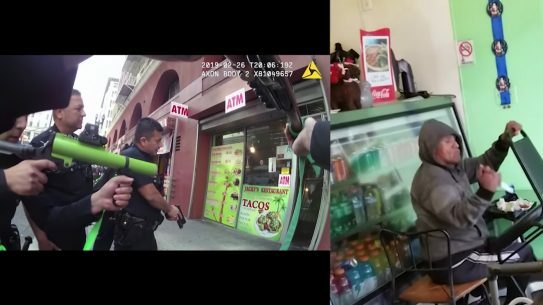 Controls are often ambidextrous, so the weapon adapts to the shooter—not the other way around. 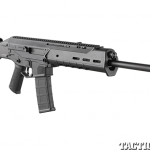 Taking advantage of today’s cutting-edge design and materials, these combat rifles offer users a truly modern take on the concept. 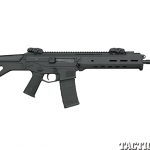 Here is a look at the next generation of civilian-legal, semi-auto carbines inspired by this technology. 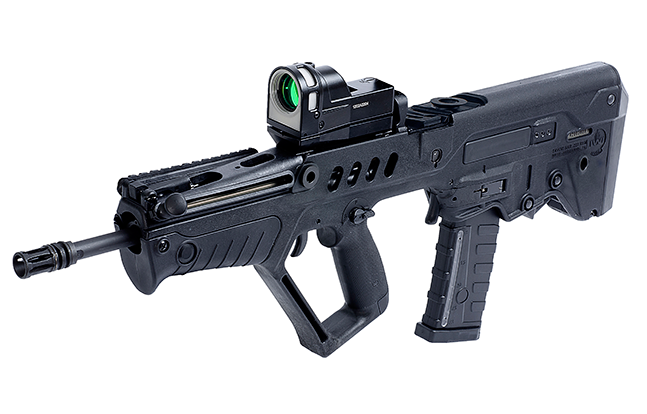 The modular Beretta ARX100 was engineered with completely ambidextrous controls, easily replaceable barrels and a wide range of customization options for any firing scenario. 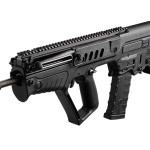 Featuring a constant-contact, short-stroke gas piston system, the ARX100 uses a lightweight technopolymer receiver. Complete disassembly takes seconds with no tools. The stock folds to the side and is adjustable for length of pull. 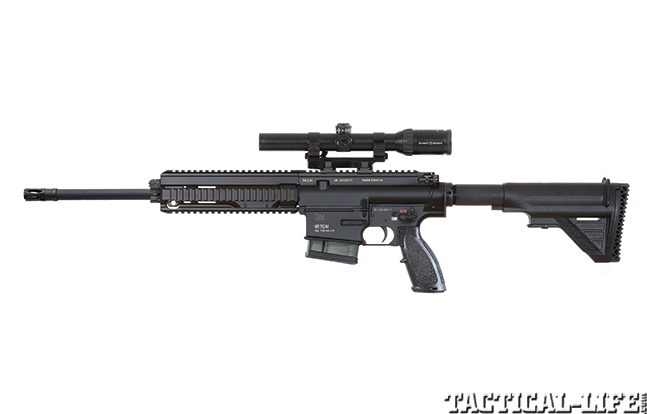 The full-length Picatinny top rail offers numerous optics mounting options, and the short fore end rails allow users to accessorize the weapon with lights and lasers. 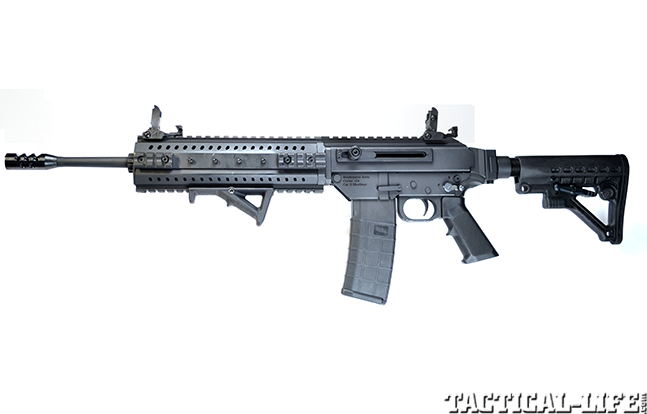 Finally, the ARX100 uses mil-spec AR magazines. 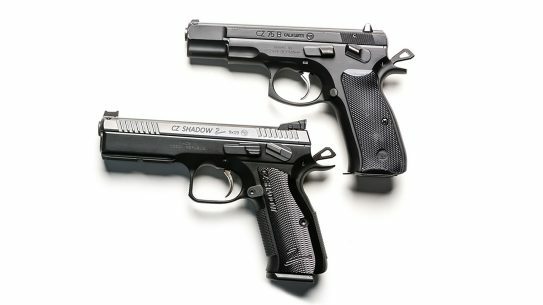 For more information, visit beretta.com or call 800-962-2658. 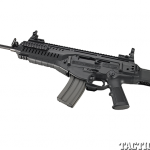 The Bushmaster ACR (Adaptive Combat Rifle) was designed by engineers at Magpul Industries to feature a gas-piston operating system, a tool-less quick-change barrel system and an adjustable folding stock. 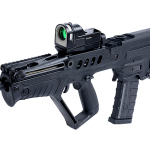 This weapon system, though an entirely new beast inside, features controls similar to an AR-15’s, which makes it easier for military and law enforcement users to transition to the ACR. 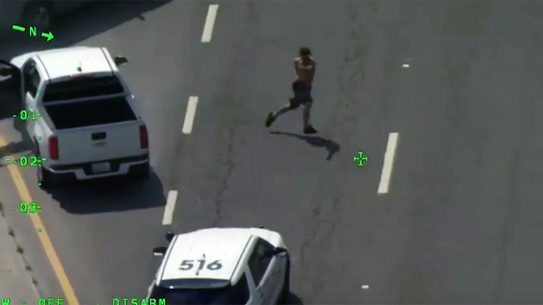 Some U.S. agencies have fielded the weapon. The free-floating barrel can be removed without the use of tools and will keep its zero when removed and replaced. 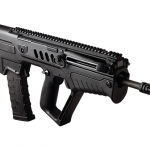 The lower receiver is manufactured from a high-impact composite, and all of the ACR’s controls are ambidextrous. 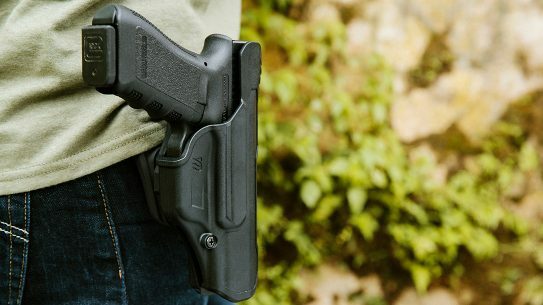 For more information, visit bushmaster.com or call 800-883-6229. 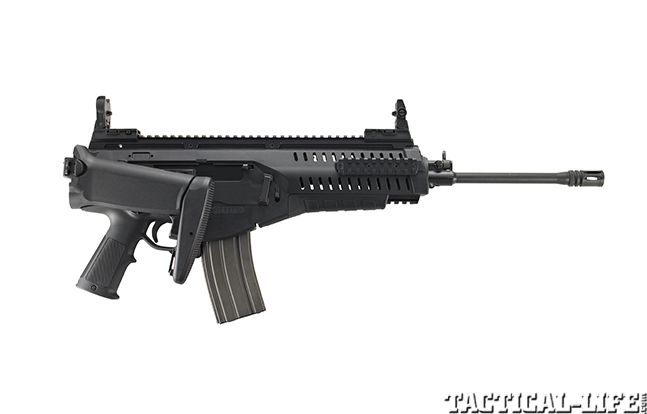 The DMR (Designated Marksman Rifle) version of the Bushmaster ACR is set up for long-range shooting. 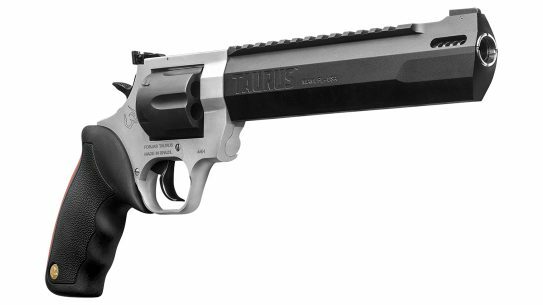 The 18.5-inch barrel is constructed of stainless steel and is given a Melonite finish. At the muzzle is an AAC 51T Blackout flash suppressor. For greater precision, the ACR DMR features a Magpul PRS stock that is fully adjustable so an operator can fine tune the length of pull and comb height. 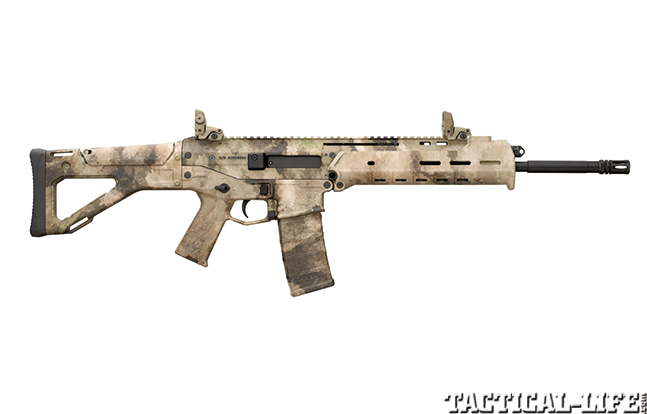 The grip is a Magpul MIAD grip. 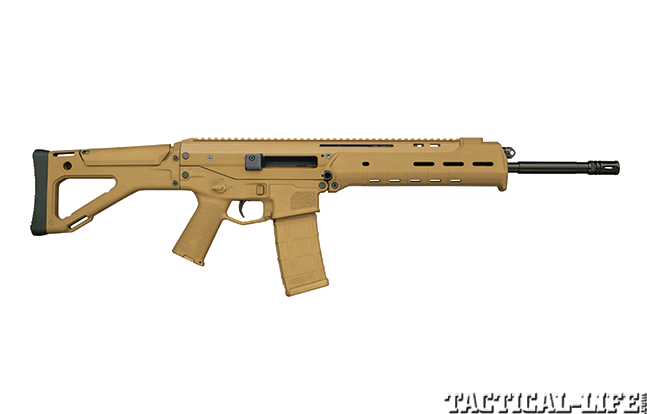 This weapon features a Geissele trigger for a crisp, clean trigger break, and all of its controls are ambidextrous. 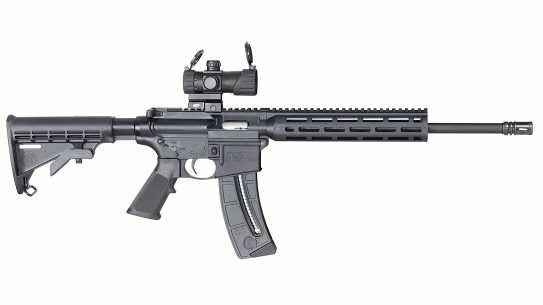 Looking externally like any other AR-platform rifle, Bushmaster’s Carbon-15 rifles feature carbon-fiber composite receivers, making them lighter than traditional ARs. But, while the carbon-fiber composite material weighs less than aluminum, it’s also more corrosion resistant. 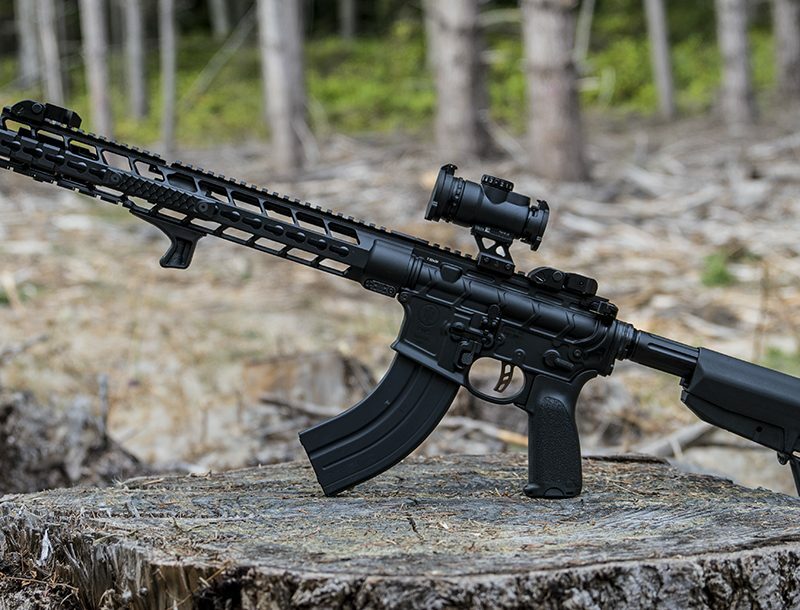 The Superlight ORC model shown weighs only 6.25 pounds unloaded and is optics ready with a Picatinny rail. 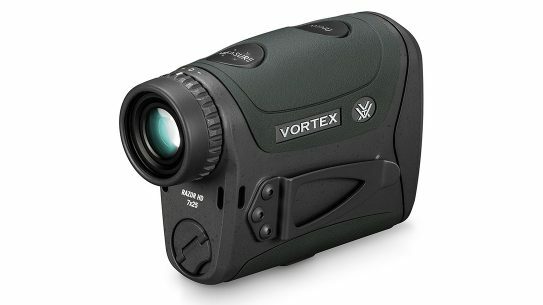 The company even includes a red-dot sight. The 16-inch, super-light-contour barrel helps to keep weight to a minimum. 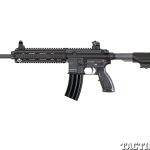 The Colt LE901-16S rifle may look like a typical AR at first glance, but its design allows an operator to swap upper receivers and calibers to quickly go from 7.62mm NATO to 5.56mm NATO. 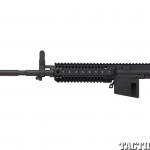 Users can replace the standard 7.62mm upper receiver with any mil-spec Colt 5.56mm upper on the LE901-16S lower receiver by using an insert block that allows the 5.56mm NATO magazines to function. 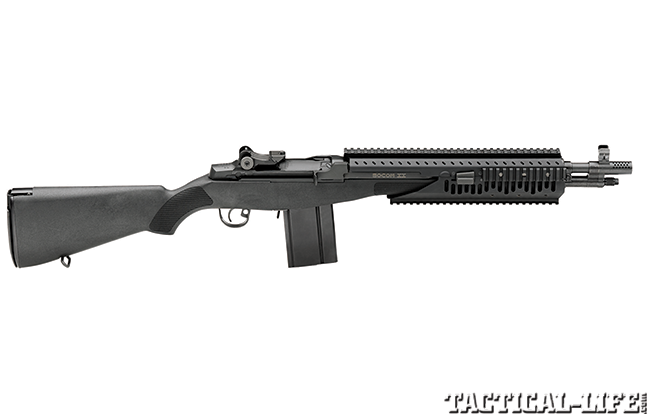 The barrel is free-floated in the one-piece monolithic upper, and the rifle utilizes the traditional direct gas impingement operating system. 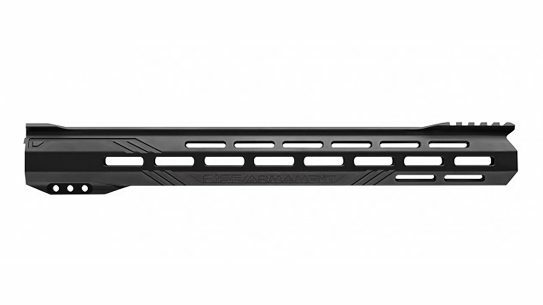 The LE901-16S upper features backup sights and a Picatinny top rail for mounting optics. At 8.8 pounds, the standard 7.62mm LE901-16S’ heft helps absorb the big-bore recoil, while the 16-inch barrel makes for excellent handling. 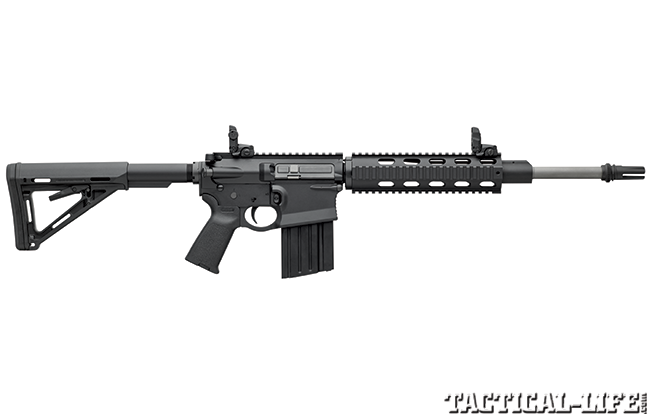 Less weight and more power—that’s what the new DPMS GII Recon carbine offers. 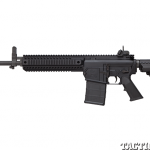 Chambered in 7.62mm NATO, DPMS has stripped away any excess weight, leaving the GII Recon at a fast-handling 8.5 pounds. 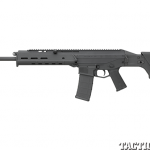 The carbine features a free-floating, 16-inch, 416 stainless steel barrel, and the upper and lower receivers are forged from 7075-T6 aluminum and Teflon coated. 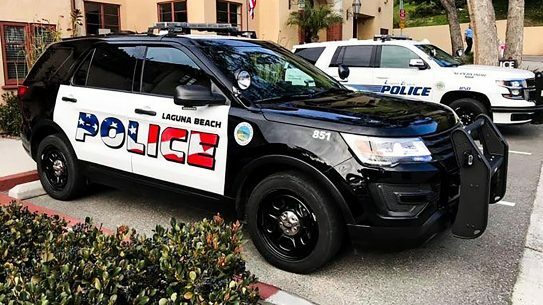 Its furniture includes a DPMS 4 Rail Free Float Tube and Magpul’s MOE pistol grip, MBUS front and rear backup sights, and MOE six-position-collapsible stock. 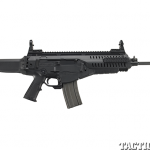 The GII Recon offers great maneuverability with .30-caliber firepower. 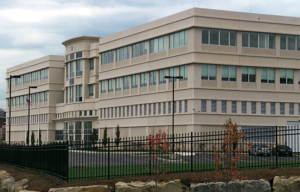 For more information, visit dpmsinc.com or call 800-578-3767. 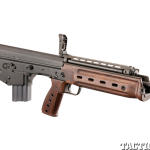 DS Arms has taken the renowned FAL design and created the SA58 Mini OSW, a short weapon with 7.62mm NATO punch. 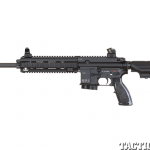 The OSW is built with a lightweight aluminum lower receiver. 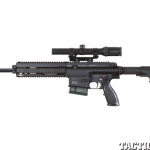 The OSW features either an 11- or 13-inch barrel with a three-prong Trident flash suppressor as well as a folding Para stock and a dual aperture rear sight. 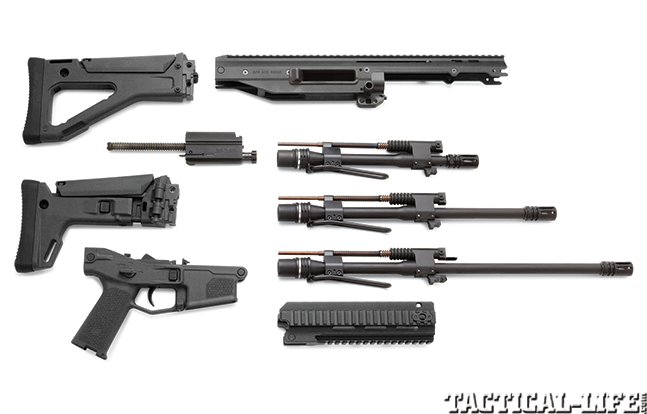 The OSW has a shortened gas piston system to accommodate the short barrel. 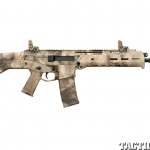 Options include a rail top cover to allow for optics, a railed handguard with mounting positions at the 3, 6, 9 and 12 o’clock positions and a SAW-style pistol grip for better control and comfort. 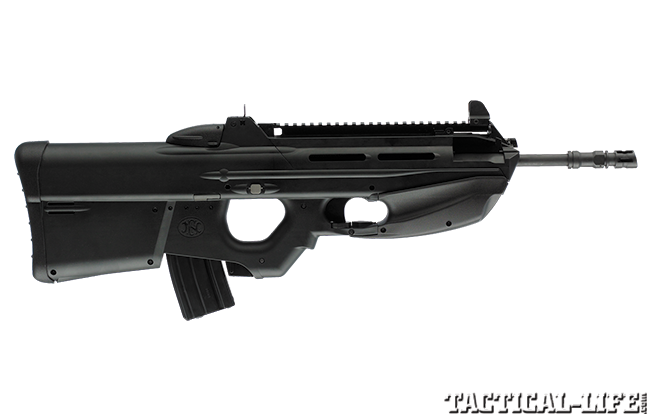 Bullpup designs are not new, but the FN FS2000 series brings the bullpup concept to a new level. 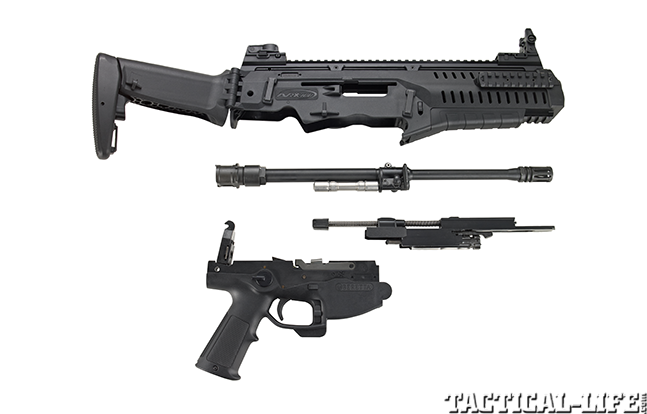 The FN FS2000 Tactical uses a gas-operated rotating bolt, and empty cases are ejected through a forward ejection port, away from the user. 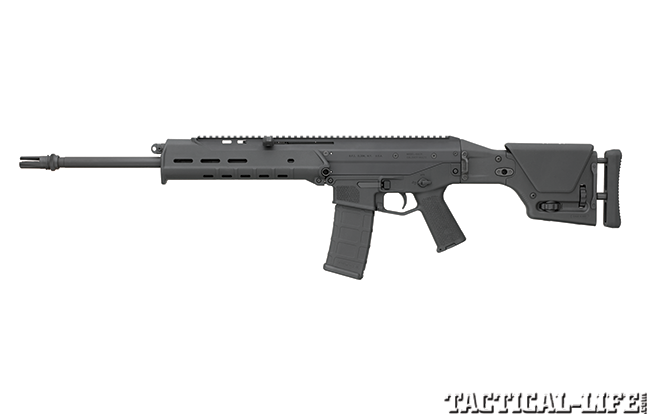 With the action and magazine located behind the firing grip and housed in a polymer stock, the FS2000 Tactical is a compact weapon with a 17.44-inch barrel, which is actually longer than that of many carbines. 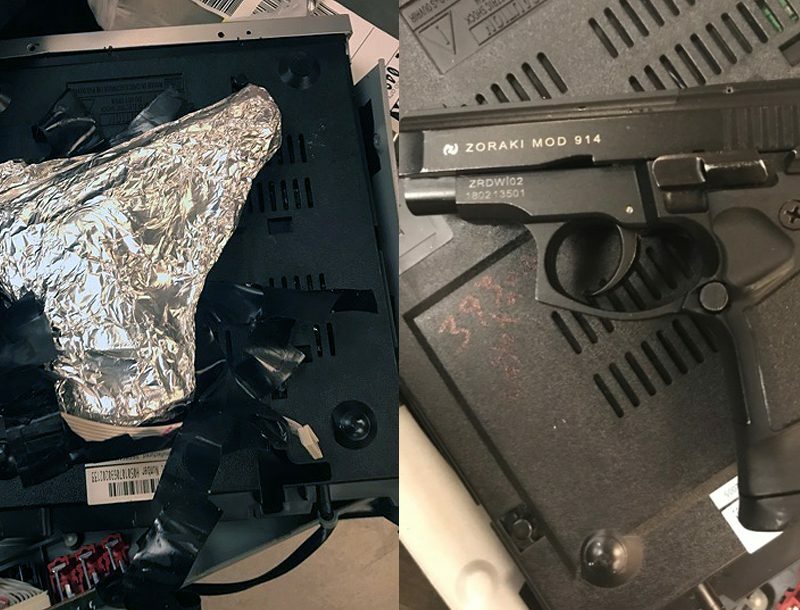 All of its controls are ambidextrous, and the exterior of the weapon is very smooth, so it is unlikely that it will get hung up on gear or the environment in which it is used. 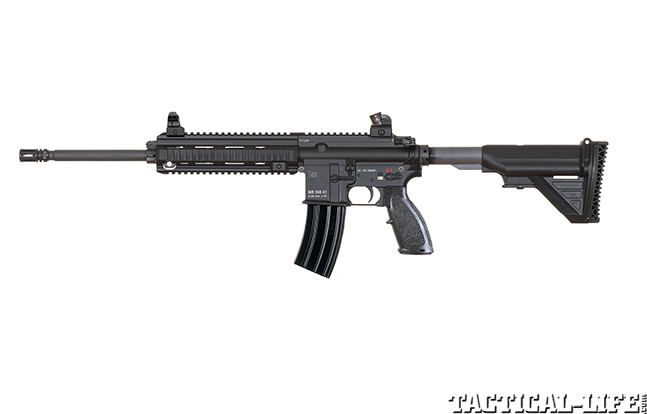 The FS2000 uses mil-spec AR magazines. 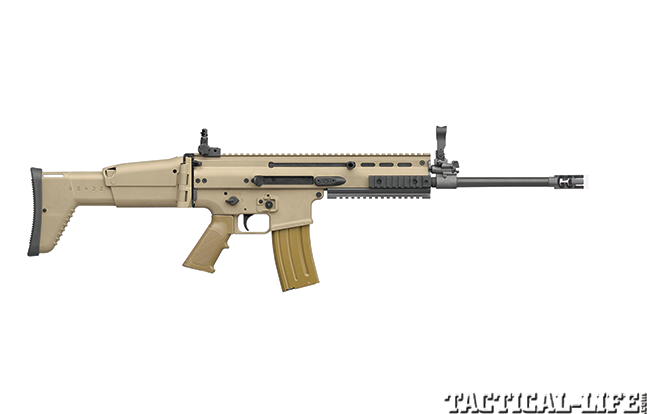 The FN SCAR 16S is lightweight, handles with ease and is one of the few next-gen rifles to see use in its military form with USSOCOM. 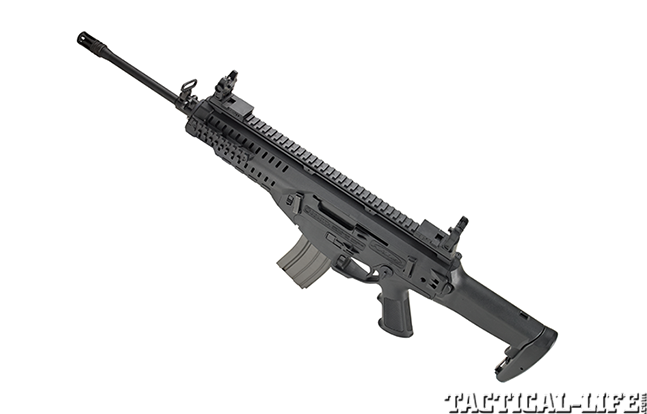 The SCAR 16S features a free-floated, cold-hammer-forged, mil-spec barrel that is chrome lined. 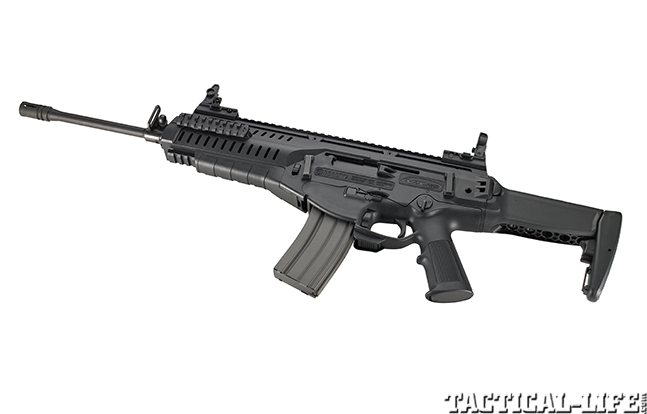 Its ergonomic controls and collapsible, side-folding polymer stock mean that the SCAR 16S can be adapted to fit every operator, no matter their stature or the gear they’re carrying. It uses a short-stroke gas piston system with a rotating bolt. The receiver is hardcoat anodized aluminum. 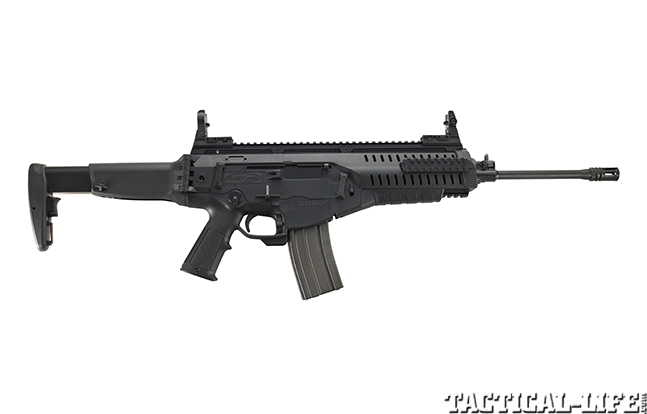 The only old-school thing about the SCAR 16S is the A2-style pistol grip. 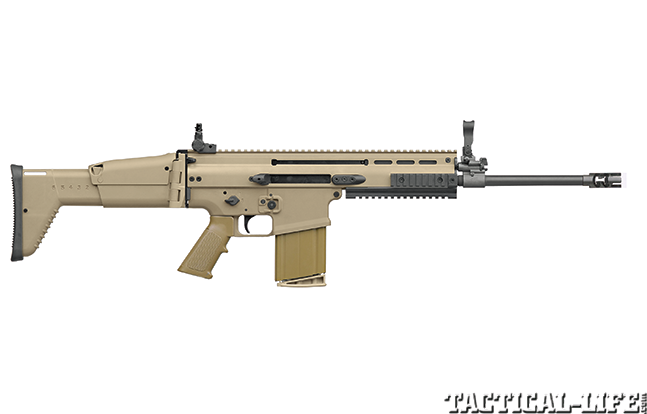 The more-powerful FN SCAR 17S is similar to the SCAR 16S except it is chambered in the potent 7.62mm NATO. 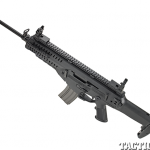 At only 8 pounds unloaded and an overall length of 28.5 inches with the stock collapsed, the SCAR 17S offers excellent maneuverability. The barrel is designed to be removed quickly by the operator via a small tool. The trigger module is made of composite polymer and offers an enlarged triggerguard for ease of use when wearing gloves. Like many next-gen combat rifles, the safety and magazine release are similar to an AR’s, minimizing transition training. 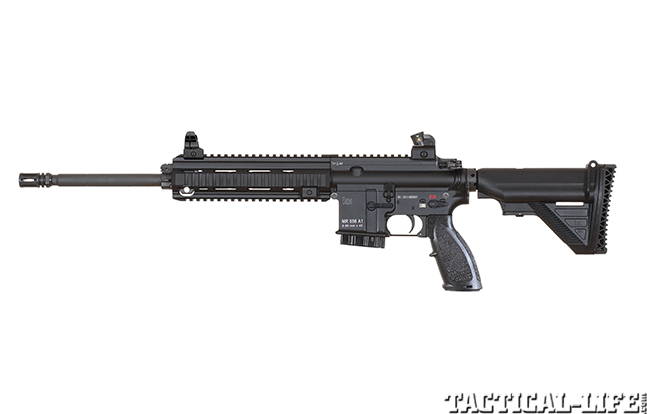 Based on the HK416 from Heckler & Koch that was designed as a replacement for the U.S. military’s M4 Carbine, the MR556A1 is based on the AR platform but uses a totally different short-stroke gas piston system. This new system uses a piston driving an operating rod to manipulate the bolt carrier group, making the gun run cleaner and cooler. 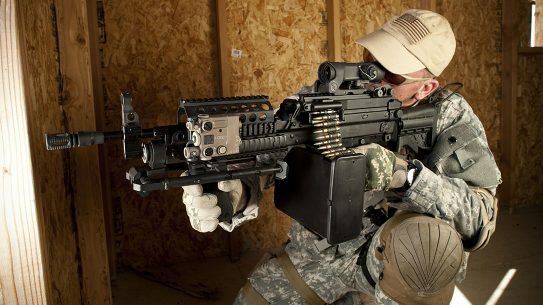 Some U.S. special operations units have replaced their M4s with HK416s after extensive testing that showed enhanced reliability, accuracy and performance. 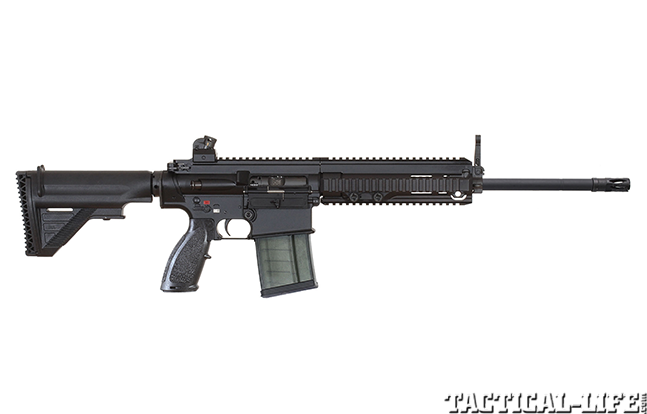 The MR556A1’s cold-hammer-forged barrel provides excellent accuracy even after 20,000 rounds. 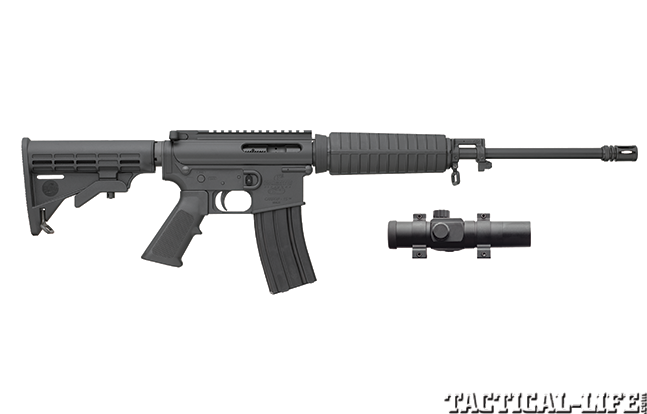 The free-floating, quad-rail forend can be removed or installed without tools and accepts the same accessories as M4-style weapons. 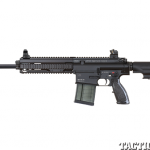 Based on the HK417, the MR762A1 is chambered in the powerful 7.62mm NATO and was initially designed as a designated marksman rifle. 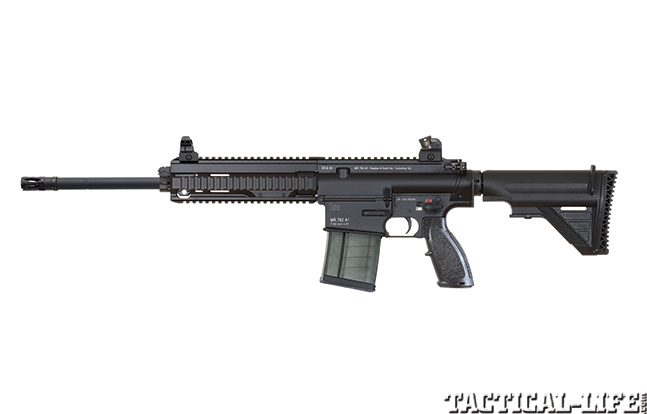 Numerous military forces and LE organizations around the globe rely on the original HK417. Similar in use and function as a 7.62mm AR, the MR762A1 uses HK’s proprietary short-stroke gas piston system, which runs clean and cool. 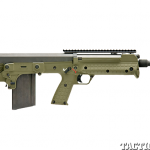 It also makes the weapon less sensitive to ammunition variations and suppressor use. All of the operating controls are ambidextrous, and the multi-position stock can be adjusted for shooters of any stature. 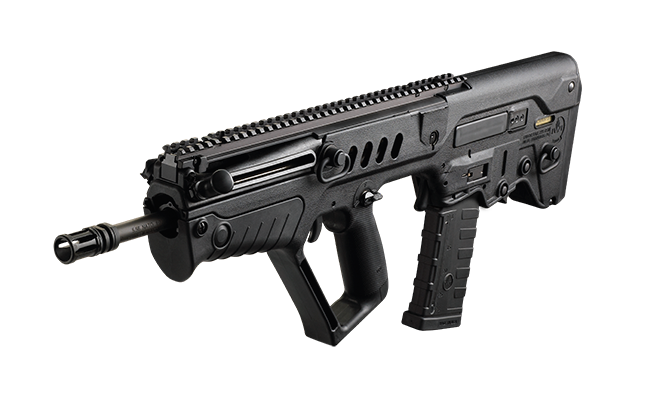 Harnessing the inherent advantages of the bullpup platform—namely compact dimensions and long-barrel ballistic performance—the battle-proven 5.56mm IWI Tavor SAR employs modern materials and engineering to make for a cutting-edge weapon system. 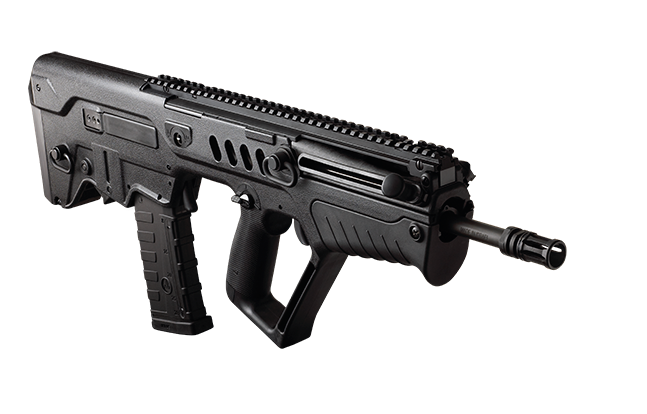 For enhanced reliability, the Tavor SAR employs a long-stroke piston operating system that runs clean and cool. 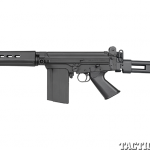 The SAR uses standard AR magazines for ease of compatibility and simplified logistics, and 16.5- or 18-inch barrels are available. Options include a flattop model for mounting optics or the “IDF” variant, which comes with a Mepro 21 day/night reflex sight mounted. 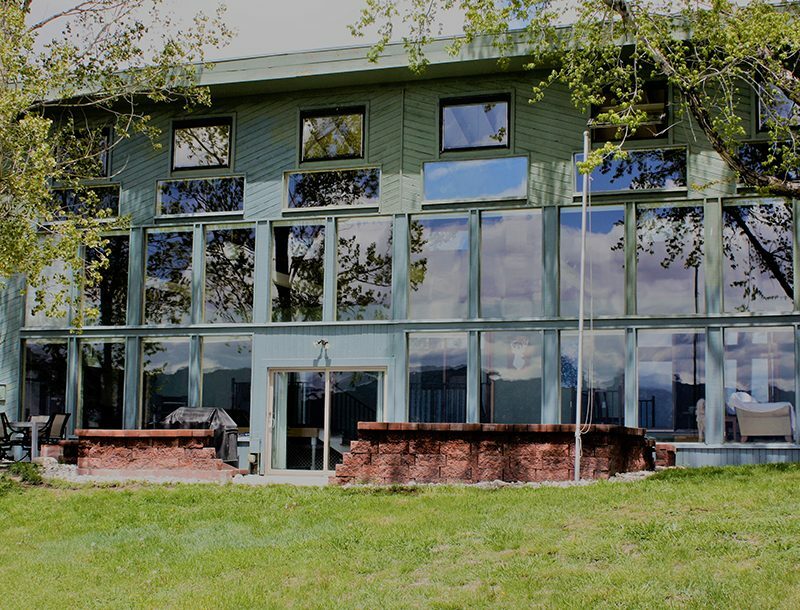 For more information, visit iwi.us or call 717-695-2081. 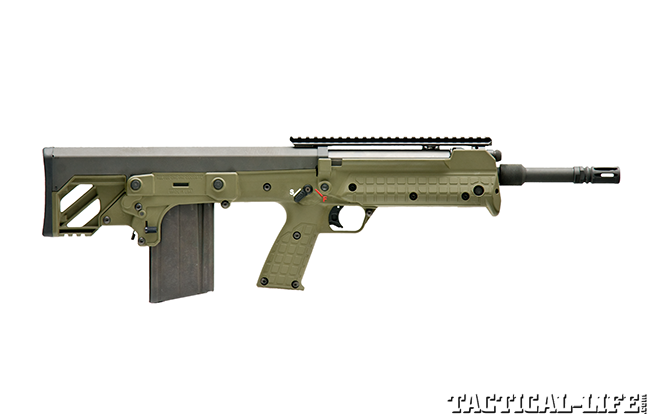 Kel-Tec’s new RDB (Rifle, Downward-ejecting Bullpup) and M43 share the same platform; the former is the tactical variant while the latter has an old school look. 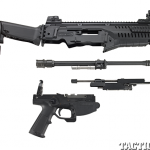 Both rifles have fully ambidextrous controls, and their parts are interchangeable. The M43’s wood furniture gives it a retro look, while its action mechanism is made of steel. 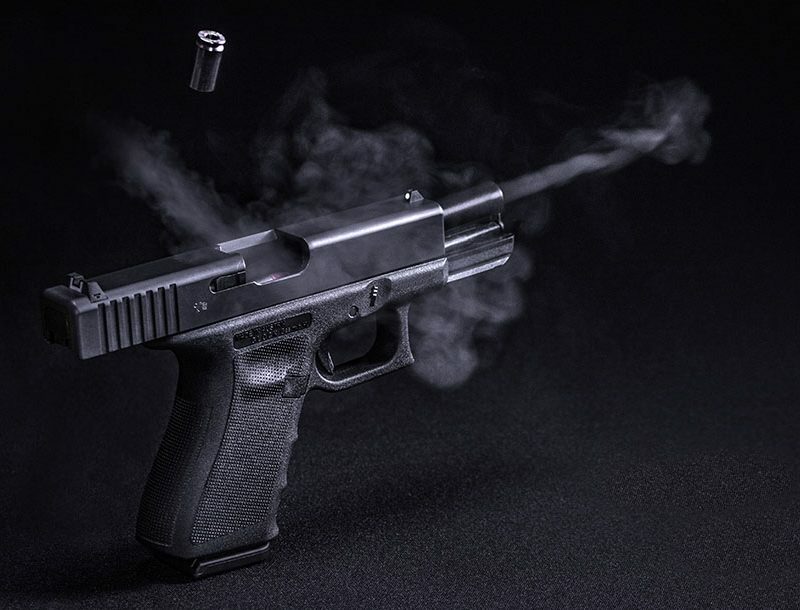 The short-stroke gas piston, which is located over the barrel and has a manual gas regulator, works with a typical rotating bolt, but the ejection port is to the rear of the magazine housing. 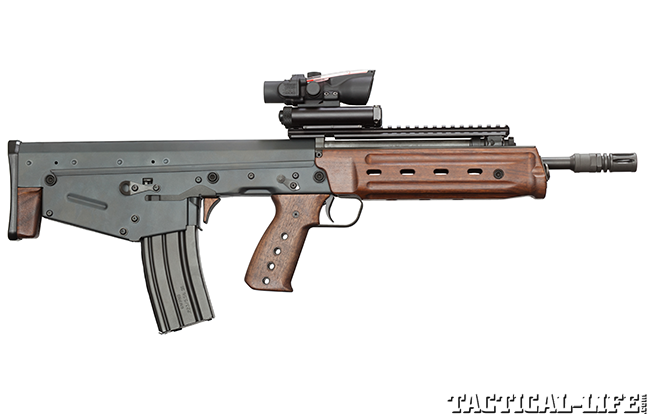 The RDB and M43 (shown) can use mil-spec AR mags. 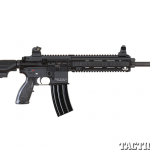 For more information, visit keltecweapons.com or call 321-631-0068. 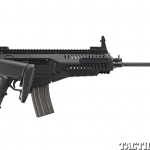 Chambered in 7.62mm NATO, the Kel-Tec RFB (Rifle, Forward-ejecting Bullpup) brings bullpup firepower to the next level. 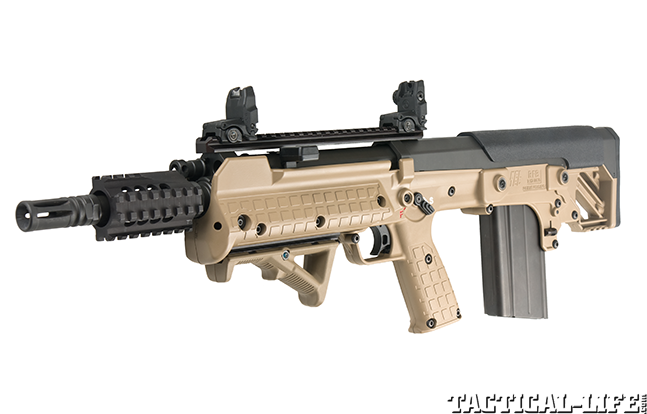 A polymer housing encases the RFB’s short-stroke gas piston system. Empty cases are fed into an ejection chute above the barrel and out a forward port. The stock is fully adjustable, as is the trigger, and all of the controls are fully ambidextrous. The operator can also switch the reciprocating charging handle to either side. 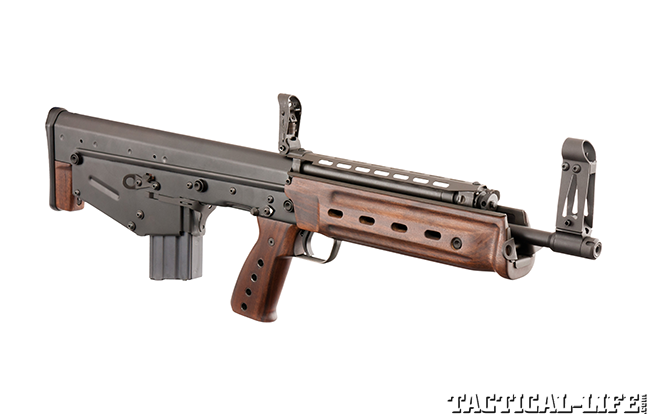 The RFB uses common FAL-type magazines. The barrel has a chrome-lined bore and chamber, and the muzzle is threaded to accept flash or sound suppressors. 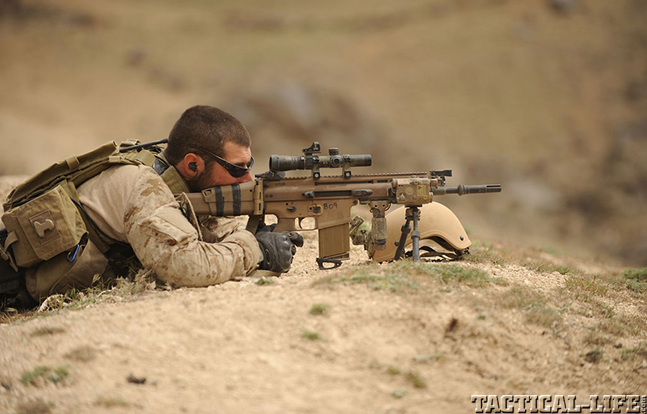 A top rail allows for the attachment of sights and optics. 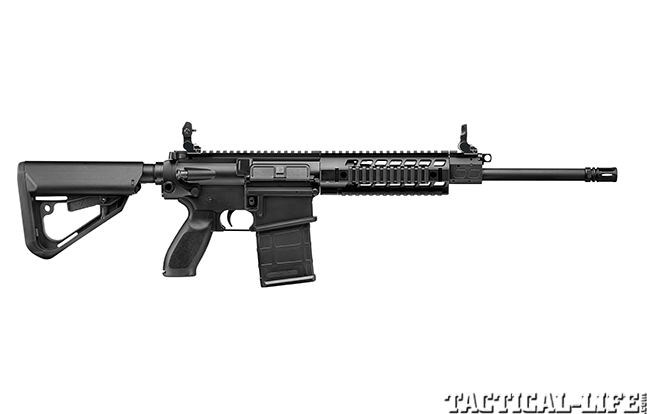 The Masterpiece Arms MPAR556 semi-automatic rifle uses a short-stroke piston operating system with a free-floated barrel to create a lightweight design that looks similar to an AR but is vastly different. 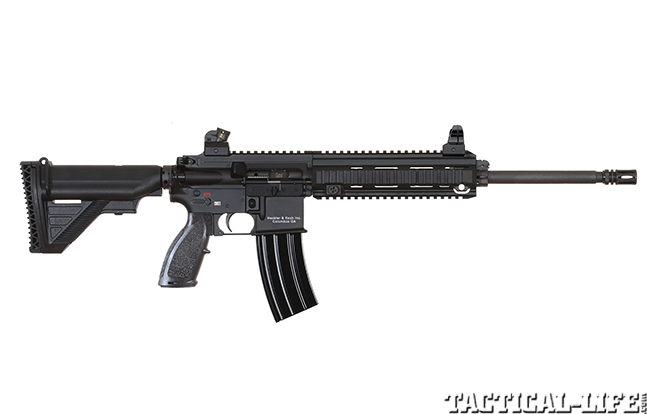 Along with the gas piston system, the MPAR556 features a side- folding, six-position-collapsible buttstock and an aluminum handguard. 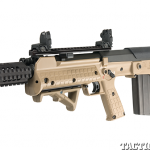 The weapon features a non-reciprocating, left-side-mounted charging handle. On the Gen II variant, after the last round is fired, the bolt locks open and the gas block is adjustable. AR magazines are compatible with the rifle. 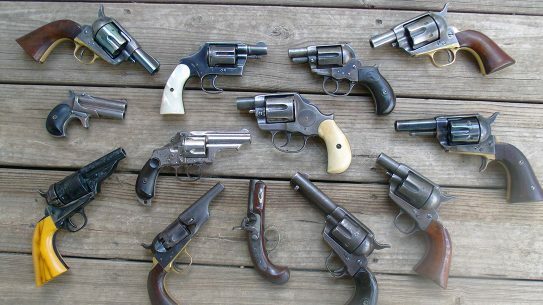 For more information, visit masterpiecearms.com or call 770-832-9430. 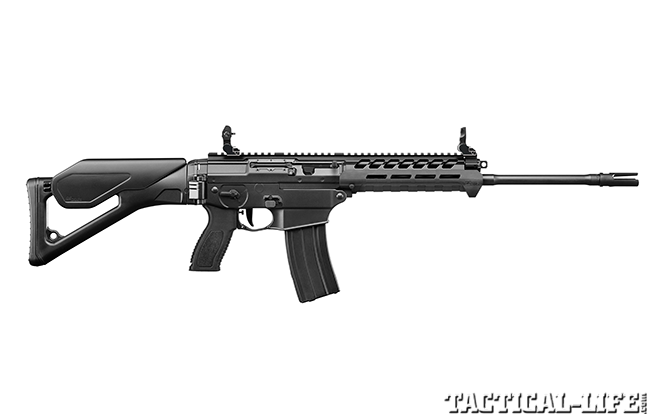 The SIG556 Patrol from Sig Sauer is a semi-automatic rifle that features a gas piston operating system with a two-position gas valve. 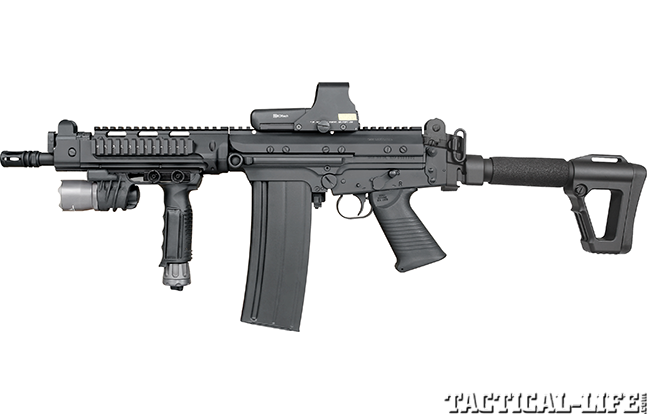 The SIG556 is legendary for performing in adverse conditions. 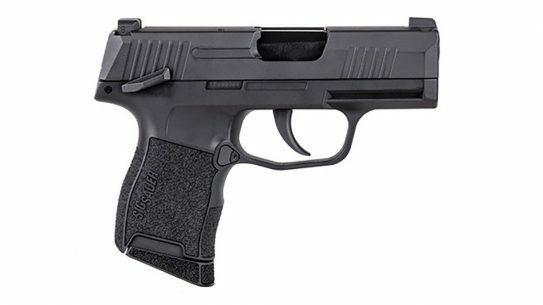 The Patrol variant is extremely light due to its redesigned alloy trigger housing. The folding stock ensures the Patrol is maneuverable in tight confines even with its 16-inch barrel. The rotary diopter rear sight and folding front sight are rugged and quickly adjust for close-quarter operations out to 100, 200 and 300 meters. 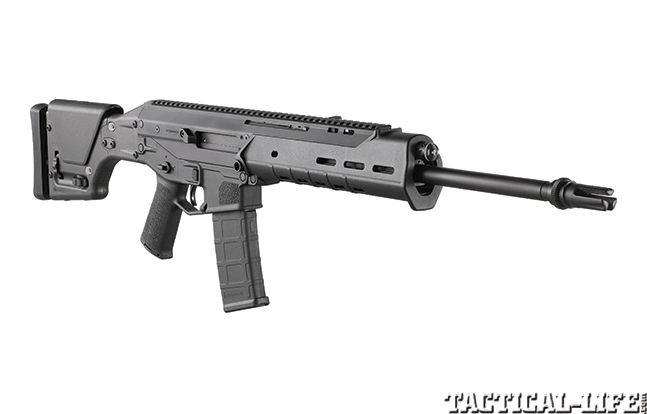 The carbine also accepts standard AR-style magazines. 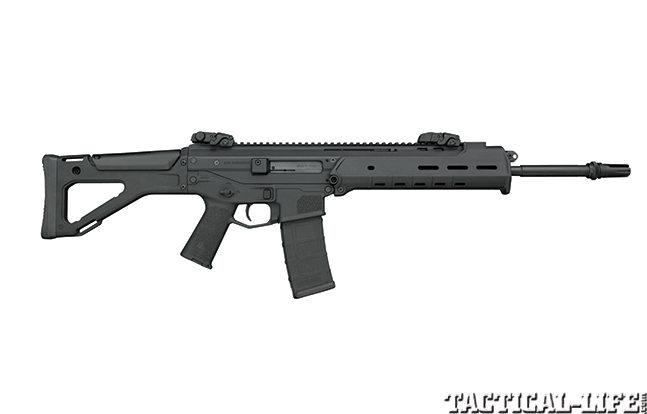 The SIG556xi redefines the modular combat rifle design, giving the operator a choice of caliber, barrel length, handguard and stock configurations as well as lower receivers. 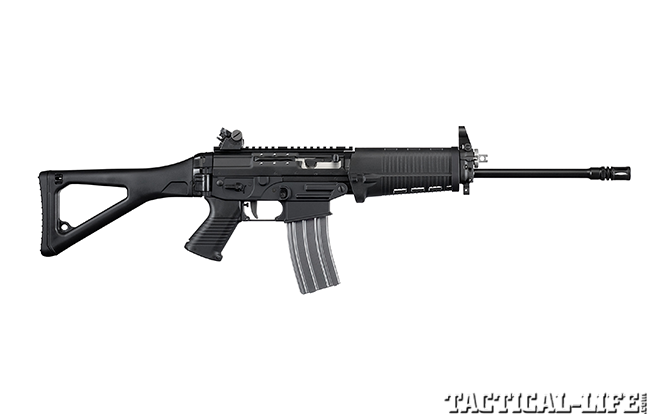 The SIG556xi is built on the proven SIG556 platform, which uses a gas piston operating system with a three-position gas valve. 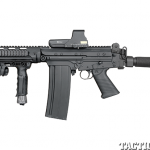 The SIG556xi can be changed to three different calibers—5.56mm NATO, 300 AAC Blackout and 7.62x39mm—by swapping out the barrel, lower receiver and appropriate bolt. The non-serialized lower receiver can quickly be changed so either AK- or AR-style magazines can be used. 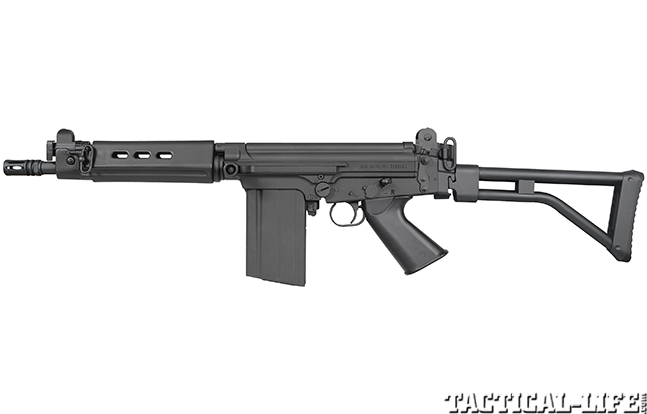 The upper receiver is the serialized part on the SIG556xi. Optional endplates offer users a variety of stock options. 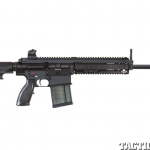 The SIG716 Patrol offers an operator all the familiar controls found on the 5.56mm NATO SIG516, but in the bone-busting 7.62mm NATO chambering. 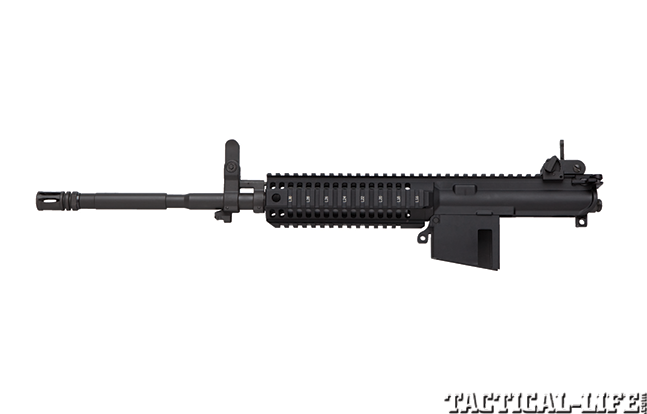 The SIG716 uses a short-stroke pushrod operating system with a rotating bolt and a four-position gas value, combined with a free-floating barrel for optimum accuracy and dependability. The aluminum handguard allows numerous accessory attachment points while the collapsible buttstock allows for a custom fit for the end-user. 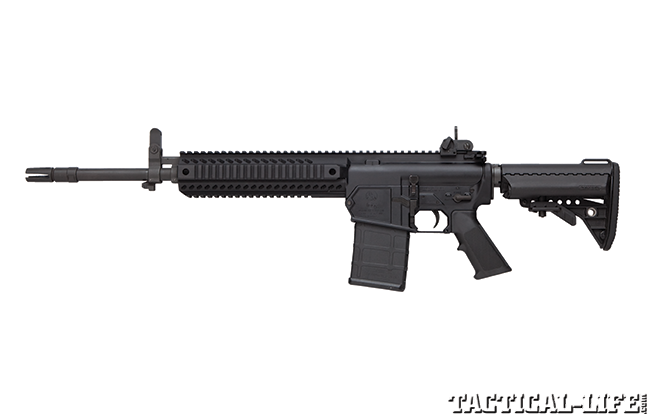 The SIG716 sports a 16-inch barrel and weighs 7.6 pounds unloaded. 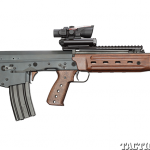 Also, the magazine release is ambidextrous, and the rifle comes with flip-up sights. Old war dogs do not fade always away. 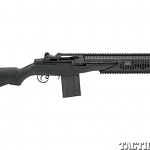 Sometimes they are refitted to fight another day, and the Springfield Armory M1A SOCOM II is a perfect example. 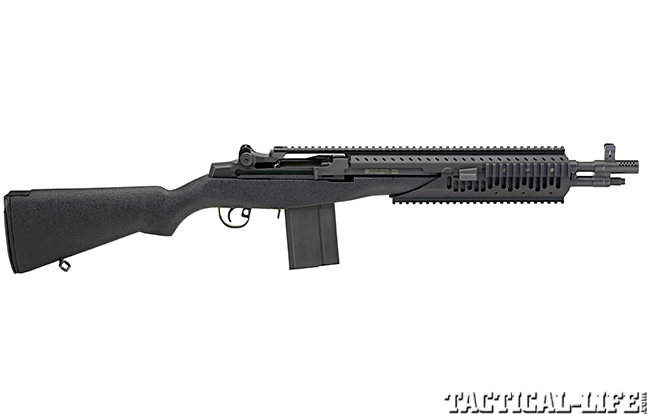 Based on a semi-automatic version of the M14 rifle, the M1A SOCOM II offers compact firepower and battle-tested reliability. 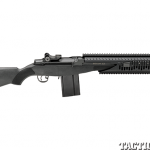 The M1A SOCOM II has a 16-inch barrel with a proprietary muzzle brake to tame the 7.62mm NATO recoil as well as a quad-rail handguard for mounting accessories. 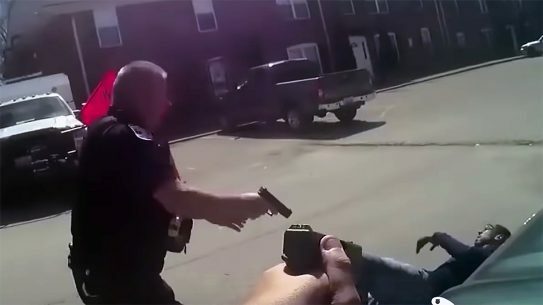 The trigger is a two-stage military-style unit set at a pull weight of 5 to 6 pounds. The ghost ring rear sight and tritium front sight make target acquisitions fast. 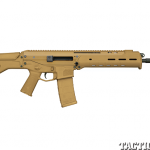 At only 37.25 inches long, the SOCOM II is very maneuverable.